Mandalay Bay Hotel and Casino sits at the south end of the strip. Boasting elegance and excitement, this beautiful and modern Las Vegas Hotel offers a plethora of restaurants, the renowned House of Blues, great entertainment throughout the Casino and Grounds and the very popular "Mandalay Beach". They got it right. Mandalay Bay Resort's entry into the hip high-end market not only raises the bar, it boosts it into low orbit. Mandalay Bay is one of Las Vegas' most prestigious spots to see-and-be-seen. The casino at Mandalay Bay Hotel in Las Vegas is lush, accented by fountains, sculpture and fauna. Surrounding it on all sides is LA-style dining, from proletariat bar Red Square featuring a headless statue of Lenin, comrade! to the futuristic China Grill; the nightclub rumjungle boasts go-go girls and a wall of fire; the Mandalay Bay Theatre boasts the Broadway smash Mamma Mia! ; the House of Blues books everyone from Bob Dylan to Underworld; an events center features sports events and arena-sized musical acts and the $40 million attraction Shark Reef houses 100 species of animals. The Mandalay Bay is simply Breathless modern beauty. Outside the Mandalay Bay Hotel, the tropical landscaping seems fresh and familiar at once and a wave pool encourages would-be Point Breakers to hang ten in the classic style. And there's much, much more to see and do. With its even mix of cosmopolitan delights and radical, unexpected change-ups, Mandalay Bay is less a hotel and more its own, strange and beautiful metropolis. 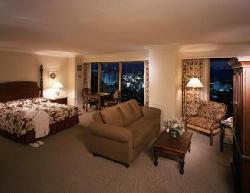 Mandalay Bay offers large, exquisitely furnished rooms with both King and Queen arrangements. In addition gorgeous Suites for that special weekend or Honeymoon getaway can also be found at Mandalay Bay. Dive into Mandalay Bay's lush, 11-acre tropical sand beach. Daydream the day away as you float on a lazy river ride, or swim in one of our three pristine pools. 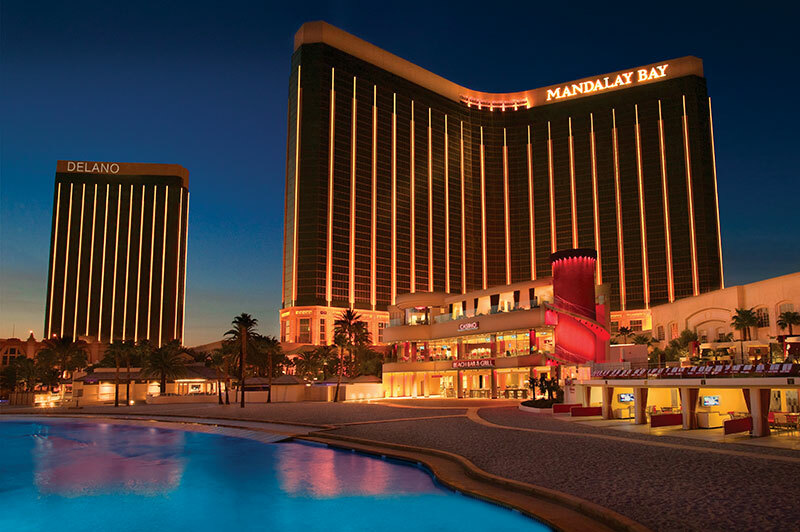 With our partner rates, you can save up to 50% off retail rates for Mandalay Bay! Complete the form below and we'll send you a free Mandalay Bay quote on your next trip to Las Vegas - no golf required!